It’s the Solemnity of the Annunciation in the Roman Catholic Church. Traditionally observed on March 25, it was moved this year to April 4 because Good Friday fell on the prescribed date. If you’re like me, you attach the significance of Mary’s fiat, or yes, to the Annunciation. 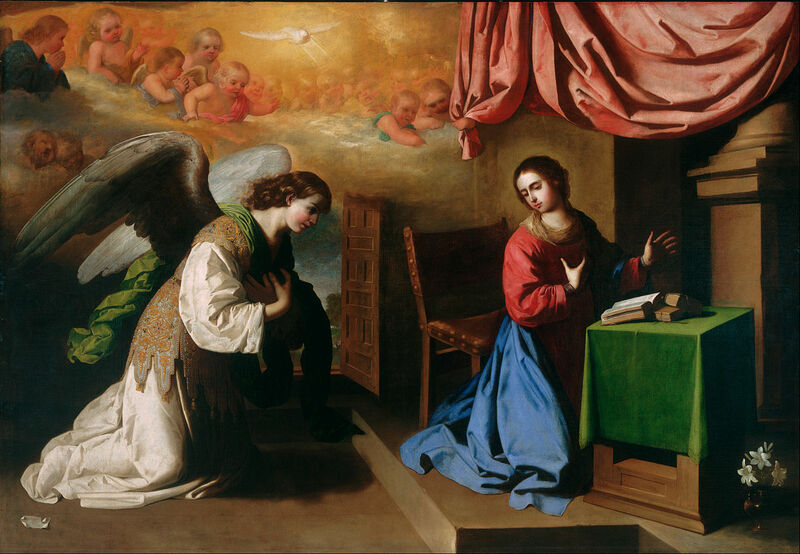 When the Angel Gabriel appeared to the Blessed Virgin and asked her to agree to become the Mother of God, Mary agreed almost immediately. This had nothing to do with Mary doubting God’s power or resisting his will. Rather, Mary wanted to make absolutely certain that she understood what God was asking of her so that she could fulfill his request. After all, she had made a vow of perpetual virginity. Conceiving and giving birth to a child would change that state considerably. Mary was searching for understanding because she wanted to protect her purity. We know the rest of the story. God did indeed protect her virginity. Mary would conceive, not by an act of man, but by an act of the Spirit. All things are possible with God. If he wishes that a child would be conceived in a woman’s womb – THE woman’s womb – without sexual relations, then he had the power and right to command it so. For centuries, the faithful have meditated on Mary’s fiat, examining its facets and taking it upon themselves a model for their own lives. We strive to imitate Mary’s fiat, and pray for the grace to say yes to God in all things as she did. The Annunciation is about Mary’s example of perfect discipleship. It’s about another important truth of our faith as well, one that I think we often miss. It’s about the Trinitarian dogma. The Father requests that Mary conceive and give birth to the Son, a miracle that will take place by the power of the Spirit. There you have it – the Trinity! This elevates Mary to much more than the Mother of our Lord. It takes her to the height of be a cooperator, a partner, so to speak, with the Triune God. From the moment of the Annunciation, Mary is brought into both the counsel and council of the Trinity. She turns it all right back to God. She’s been told by God’s angel that she is especially favored, chosen among all women, and endowed with the mission of being mother of the Savior. Later, she’ll be told that she’s to become the mother of all mankind as well. On top of that – as if there’s anything that could top it – she is made privy to dogma of the Trinity. How’s that for an annunciation? Annunciation, Blessed Virgin Mary, Catholic Church. Bookmark.